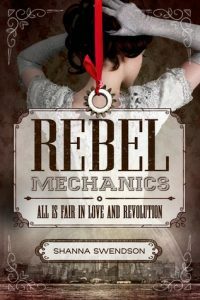 What I’m reading: Romance novels by Stephanie Laurens – I stumbled across her books on the shelf at the library the other day, saw that they were set in the Victorian era (which I’m currently saturating myself with), and checked two out. I then promptly devoured both of them. Intelligent, funny, emotional, passionate. Too good to miss. Exercise program I’m loving: Classical Stretch – Sure, the instructor is Canadian and a former ballerina (i.e. super flexible), and it’s kind of quirky, but the exercises are scientifically researched** to increase strength and flexibility, the show is filmed in beautiful locations (Mexico, Jamaica), and the best part: just 20-ish minutes! These are the first workouts I have done in I can’t remember, where I don’t constantly clock watch from the beginning; I’ll start to wonder how much time is left, and discover there are only 3 minutes left! Just watch out for the pliés, though — they are killers. What is delighting you this Thursday? *Okay, Cate Blanchett once again as a villain didn’t thrill me, but at least she was better in this than the dreadful Indiana Jones Film That Shall Not Be Named. 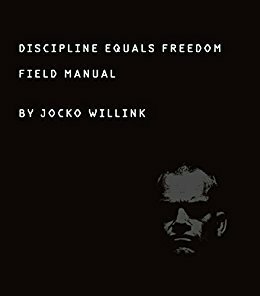 **The exercises use the same principles as what I studied in massage school, which won me over. It’s summer*, which means it is time for the Summer Reading Program! My love of the SRP dates back almost 40 years** when my local public library had a Reading Bingo Card*** and I was so excited to read books that fit the different categories. I can’t remember exactly what I read, but there are proud X marks on some of the categories. 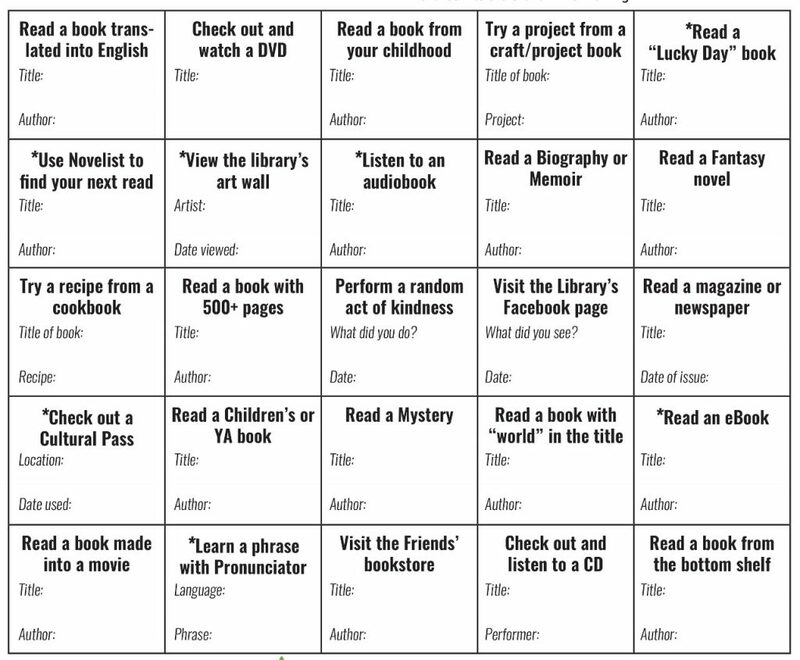 Well, in my current mild-mannered day job, I get to put together the summer Reading Bingo Card for adults, and every summer I still get excited about reading the books to complete the card. However, this summer I did something slightly different—the card is not just about reading, but also about exploring library services and “Building a Better World”****. So of course I started strategizing and creating reading lists for the 14 different book categories, and of course I looked at how many squares I could finish ON THE FIRST DAY. Because I just could not wait. At any rate, as of Day 2, I am in progress on six (6!) squares. And that’s me being restrained. Yeah, I like to read. A lot. So what’s on your summer reading list? Anything you can’t wait to try? *Summer in Oregon apparently means 60 degrees and drizzle. It’s starting to look like Juneuary again. **Okay, I’m definitely starting to feel old. ***Yes, I still have the 1980 Reading Bingo Card from my childhood library. And no, I am not ashamed. ****That’s the SRP theme this year. FWIW, the theme was decided two years ago. Children of the 80’s and geeks unite! I have discovered a new guilty pleasure: listening to a delightful audiobook at home with a glass of wine. And the first audiobook to receive this treatment? 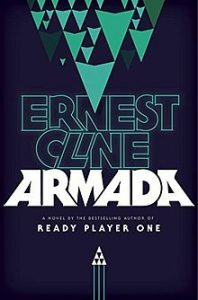 Armada by Ernest Cline. If you are a child of the 1980’s, or a geek, or even better BOTH, this book was made for you. Pop culture (heavy on the sci-fi) references abound as an alien fleet comes to attack Earth, and it gets even better with the reading by Wil Wheaton. Yes, Star Trek: The Next Generation‘s Wil Wheaton. Gaming nerd Wil Wheaton. Geek Extraordinaire Wil Wheaton. I can’t remember the last time (any time?) I listened to an audiobook read by someone with so much enthusiasm and love. Wheaton’s reading was infectious and fun. Sure, the story is a bit predictable (especially for readers of Ender’s Game and viewers of The Last Starfighter), but it’s still a joy to listen to Wheaton sing rock songs and do impersonations of Sir Patrick Stewart and George Takei. While I have only read the print book, I can only assume that Wheaton put the same energy into his audiobook reading of Ernest Cline’s previous book (and soon to be movie) Ready Player One (another fun 1980’s/geek novel). Now, to find the next decadent wine-worthy audiobook . . .